Are you looking for reliable industrial concrete construction in Virginia and the Washington Metro area? Concrete Restoration Services Inc. is the place to turn to for any type of concrete structure maintenance, restoration, construction, or repair. Whether you need to build, protect, and maintain a new structure, prevent building deterioration, or address a water penetration problem, Concrete Restoration will analyze, repair, clean, and maintain your concrete structure. Interested in commercial and industrial concrete contractors? Call us today at 301-261-7521, Or click here to fill out a contact form. We are a locally owned company that has provided structural problem solving for over 30 years with outstanding service and affordable solutions. If you own or manage a business entity that has warehouses, offices, commercial properties, industrial buildings, or concrete parking facilities, then we can help you. We specialize in both commercial and industrial concrete construction. So whether you are a principal concerned about some cracks in a building wall, a warehouse owner in need of some floor maintenance, or anyone in need any type of concrete restoration, we can help you. Maintaining concrete is important for the long term and the short term. By providing concrete with routine maintenance, you will be safeguarding employees, clients, customers and anyone who uses the floor with a surface that is safe and aesthetically pleasing. Industrial concrete flooring is the staple of many workplaces. Its durability allows it to withstand constant pressure from both man and machine. Over time, however, it will wear down. Aside from routine maintenance, replacement, or repair, an alternative method for ensuring a long life from your concrete flooring is to apply a coating. An industrial concrete floor coating will provide plenty of advantages. It will help make your concrete floor look good, but the goal of concrete floor coating is to also be functional. When deciding on the type of concrete coating, there are several important considerations that will help to determine the best product for you. What kind of operations do you perform? Is it a commercial, industrial, manufacturing, or food processing facility? What kind of traffic does the floor experience? Is the floor mainly used for foot traffic or heavy machines? How much do the machines weigh? Are there any other vehicles that will be using the floor? How frequent is the floor in use? What will the floor be exposed to? Will the floor be exposed to chemicals or any other liquids? Will there be any other materials that you might want to protect against? What are the operating conditions? Where is the floor located? How hot or cold does the floor get? Will the floor be exposed to sudden changes in temperature? We are a locally owned business with 30 years of experience in industrial concrete construction in Virginia. Operating out of the Washington Metro area–Virginia, Fairfax, Alexandria, Maryland, DC–our workers are professional and courteous, trained to handle any situationas well as capable of working cooperatively within any scenario. We have worked on large stadiums, smaller industrial warehouses, and everything in between. Regardless of the amount of damage, we promise timely and competitively priced concrete services. 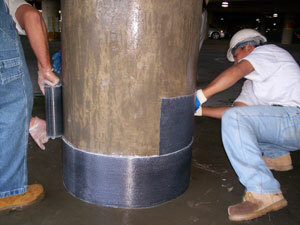 So do not let those small cracks and ruptures in the side of your structure to turn into major slab repair. Need industrial concrete construction in Virginia? If you live in the MD/DC/VA area then you can call us at 301-261-4933 and speak with a customer service representative.